Liver cancer is one of the leading causes of mortality worldwide, with an estimated annual mortality rate of 500,000 with a survival rate of less than 5%. 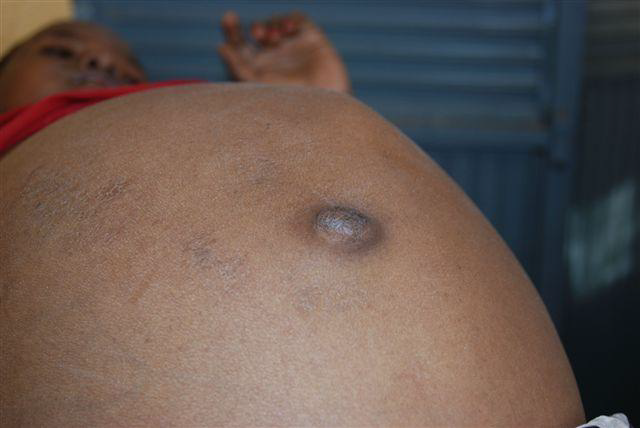 Cirrhosis (scarring of the liver as a result of continuous, long-term liver damage) is the main risk factor for the development of liver cancer in developing countries, such as in West Africa, where viral hepatitis B is the major cause of cirrhosis. Generally, late presentation of patients with liver cancer results in poor prognosis, due mainly to insufficient and lack of affordable screening tools for early tumour detection. In resource-poor settings, procedures such as ultrasounds are not available and population mass-screening is often not practicable. Since February 2011, we have been working on a five year translational clinical research project, funded by the European Union Frame work 7 (www.prolifica.eu). The aim of the project is to reduce the incidence of liver cancer in three West African countries – Gambia, Nigeria and Senegal, with a particular focus on hepatocellular carcinoma: (HCC), which is the most common cause of death in these countries. The project will also seek to identify biomarkers (measurable indicators of the severity or presence of the disease) for the development of simple diagnostics for detecting cancer in resource-poor countries. The project aim is to identify urinary biomarkers of liver cancer in West African populations with viral hepatitis B, specifically in Senegal, Gambia and Nigeria. These will be used to develop a urinary diagnostic for early liver cancer that can be used for screening in resource-poor rural communities, who otherwise present too late for medical attention. In addition, it will investigate if the treatment of chronic hepatitis B virus infection is an effective method of reducing the incidence of liver cancer in resource-poor settings. To train local medical staff and scientists in the procedures required, such that the project can be undertaken effectively and technology transfer and capacity building is established in these countries. The collection of epidemiological information to help facilitate the identification of key reasons for the incidence of liver cancer (e.g. diet, living standards, illness). Protocols for the above activities were created (i.e. consent forms, study information, laboratory procedures and epidemiological questionnaire) in order to ensure that the local staff understood how to carry out the procedures effectively. In particular, ensuring that the volunteer patients were well informed of the project aims and why their blood and urine samples were required. Also, how the samples would be used to provide information on hepatitis B and liver cancer and how outcomes will affect their own and their families’ future health. Imperial visited Gambia a second time to characterise and verify samples collected by the Gambian and Senegalese collaborators. All samples taken from patients require to be transferred from the villages and hospitals to the laboratory within a short timeline, in order to be viable for research purposes. Protocols for this purpose were provided and a method was devised to ensure that samples were transported and remained viable, given the practical limitations of a hot climate with basic transport. This included facilities for mobile cold storage, both during collection and transport. In the laboratory, the Imperial team trained local staff in the processing of samples, and correct storage in -80oC freezers prior to analysis. They also oversaw the transfer of patient urine and blood samples back to the UK for metabonomic analysis at Imperial. This required the samples to remain frozen throughout the journey to the UK, so it was important to show local staff how to pack and send samples such that they stayed frozen throughout the journey, arriving intact and frozen at Imperial. The Imperial team also contributed to the training of Nigerian project staff in ethical patient recruitment (Good Clinical Practice). In addition, they facilitated the setting up of their laboratory and the processing and storage of biological samples. At the end of year one, all Gambian and Senegalese staff were fully trained and competent in all activities involved in the collecting of biological samples (including informing patients and processing of the samples for research analysis). As such, local staff were able to undertake and manage the activities without supervision. 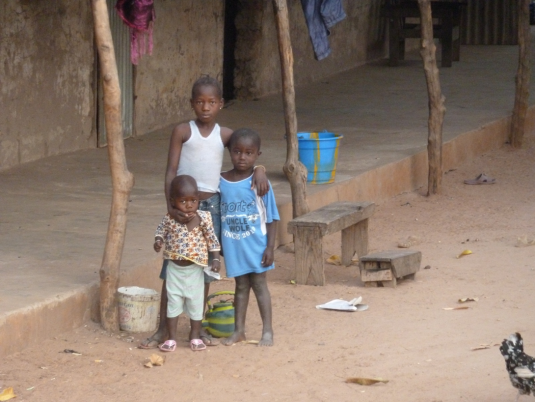 During the second year, Imperial visited both Gambia and Senegal. 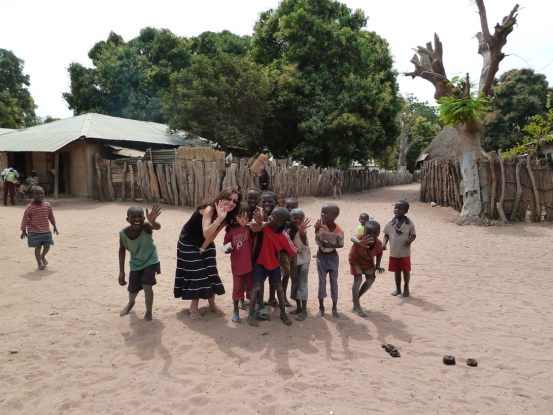 Their trip to Gambia was to support the local staff and help solve any problems that may have arisen with the process of sample collection. During this time, they also visited Senegal to train staff in the use of a Fibroscan provided by the project. This is a specific ‘ultrasound-like’ piece of equipment specifically devised to non-invasively assess the presence of liver cancer in patients. This was successfully achieved and the machine is currently being used to confirm the presence of liver cancer in Senegalese patients recruited to the project. Gambian staff had previous experience of using the Fibroscan and did not require training. 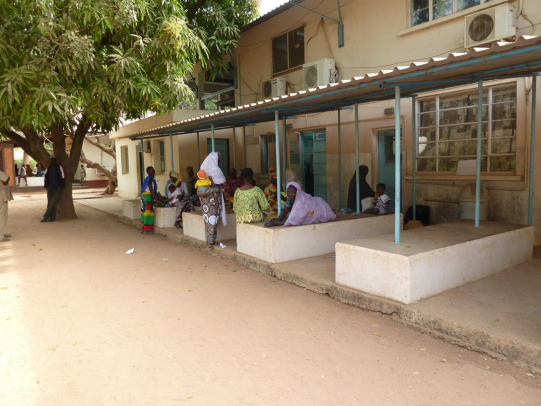 Imperial visited both centres in Senegal, Le Dantec hospital and Thies hospital, where the majority of patients for the project are recruited. In Thies, the majority of patients are recruited from a local factory and the surrounding villages. As this is very different to that in Gambia and Nigeria (where recruitment is mainly from villages and hospitals), the Imperial team also ensured that the factory medical staff responsible for recruiting the factory patients understood the recruitment and sample collection procedures. Also, that they were trained to the same standard as those in Gambia and Nigeria. The Imperial team also helped the three centres with blood pressure monitoring, documentation storage and study procedures information (Good Laboratory Practice). The team continues to help solve sample collection issues arising from the study and to monitor progress in Gambia, Nigeria and Senegal. The above activities have been instrumental in ensuring that the project has been initiated effectively and ethically. All staff involved in both patient recruitment and sample collection currently work to standard protocols and procedures, ensuring that the collected data is of good quality and will provide informative insights into liver cancer and hepatitis B in West Africa. It will also facilitate the identification of key liver cancer biomarkers for the development of diagnostics for the early detection of the disease in resource-poor settings. Importantly, the activities undertaken have provided the basis for transferring new skills and building the capacity for providing effective liver cancer healthcare in West Africa.